Jose Salvador was born and raised in the small agricultural town of Wauchula, FL. While the town’s population is approximately 27,000 people, nearly half the population is Hispanic, specifically of Mexican descent. He graduated top 10% of his high school class in 2006. Jose was born in the United States. However, he comes from a family of immigrants. After high school, he attended South Florida Community College while working as a substitute teacher. Jose then joined in the U.S. military by enlisting in the Florida National Guard. There he enlisted with the Military Police Corp. during his first year of community college in 2007. That same year, Jose graduated from Army Basic Training as an Honor Graduate. In the spring of 2008, he graduated from SFCC with his Associate’s degree in Criminal Justice. In the summer of 2008, he attended and graduated from the Army Military Police Corp. In 2009, Jose Salvador began preparations to deploy with his Unit. In January 2010, he deployed to Kuwait in support of Operation Iraqi Freedom (OIF). During deployment, Jose attended classes for his Bachelor’s degree while abroad and serving actively. He also enrolled in USF’s online B.A Criminology program. Jose returned from deployment December of 2010. He then attended on-campus courses in Lakeland, Florida, and graduated from USF with his Bachelor’s degree in Criminology in December 2011. Also in 2011, Jose was promoted to rank of Sergeant in the Florida National Guard. Jose was then deployed to Afghanistan in 2012 in support of Operation Enduring Freedom (OEF). During deployment, Jose applied and was accepted at Florida A&M University College of Law. Immediately after his successful tour in Afghanistan, Jose started his law school journey in 2013. Jose attended law school using his Post 9-11 GI Bill and graduated from FAMU College of Law with his J.D. in Spring 2016. Jose was then accepted to Stetson College of Law LLM Trial Advocacy Program in Fall 2016. He also began interning with Mubarak Law. Mubarak Law officially hired Jose in February of 2017. Jose also passed the Bar exam in February 2017. 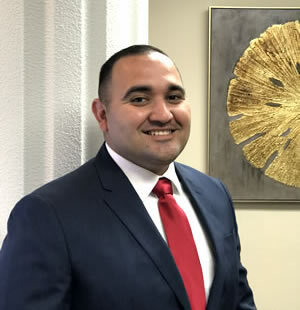 Jose Salvador is currently enrolled in Stetson’s Trial Advocacy Program and is still serving in the Florida National Guard.